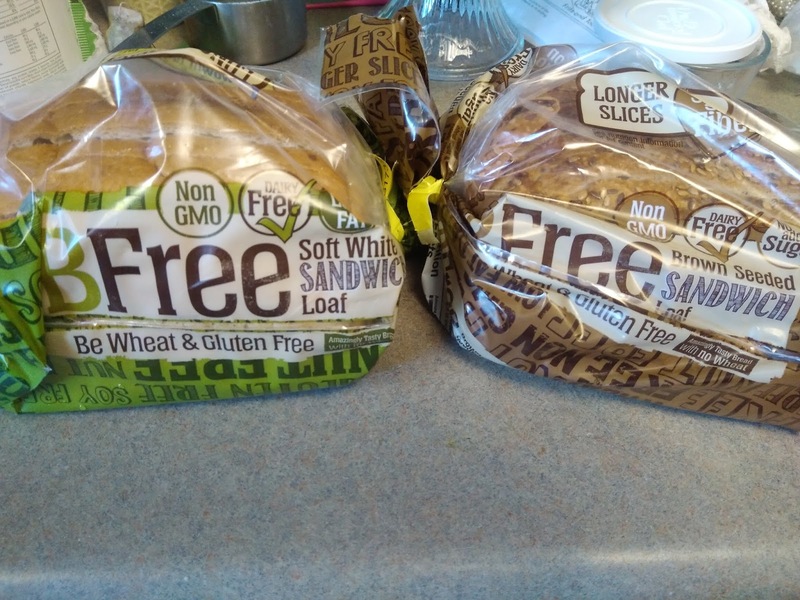 Enjoy Being Gluten-Free with @BfreefoodsUSA! 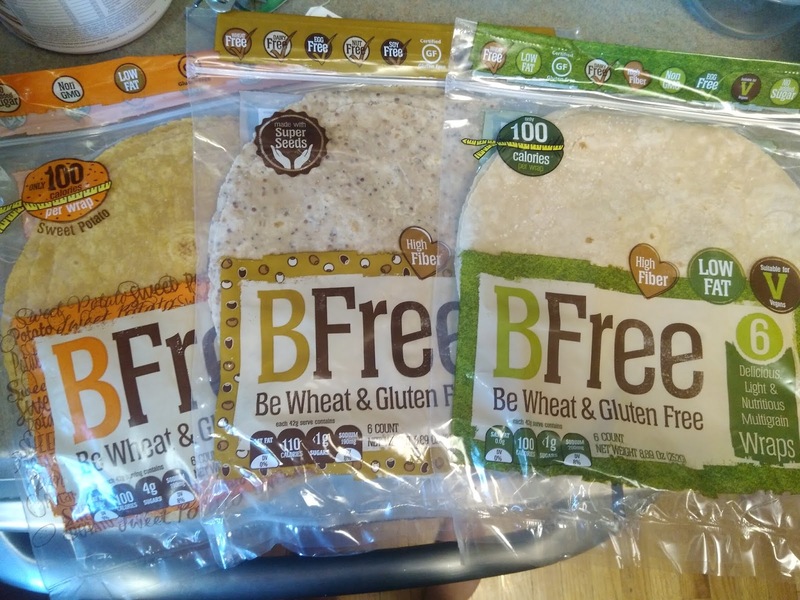 I am going to finish out May and Celiac Awareness Month by featuring one of my all-time favorite gluten-free brands - BFree Foods! I love BFree foods because they have no allergens in any of their products but they still taste great and the whole family enjoys them! 1· Roll Back the Clock – enhance your anti-aging efforts with the BFree Multigrain Wrap with sweet potato, romaine, spinach, red onion, black olive, sun-dried tomato, yellow pepper, olive oil and sesame seed. This recipe is full of antioxidants, beta-carotene, collagen, vitamin A and vitamin C.
2· B.L.T. (Beautiful, Long Tresses) – let your hair down with the BFree Sweet Potato Wrap with tofu, walnut, egg, carrot, avocado and spinach and restore keratin, potassium, protein, vitamin C, vitamin E and beta-carotene. 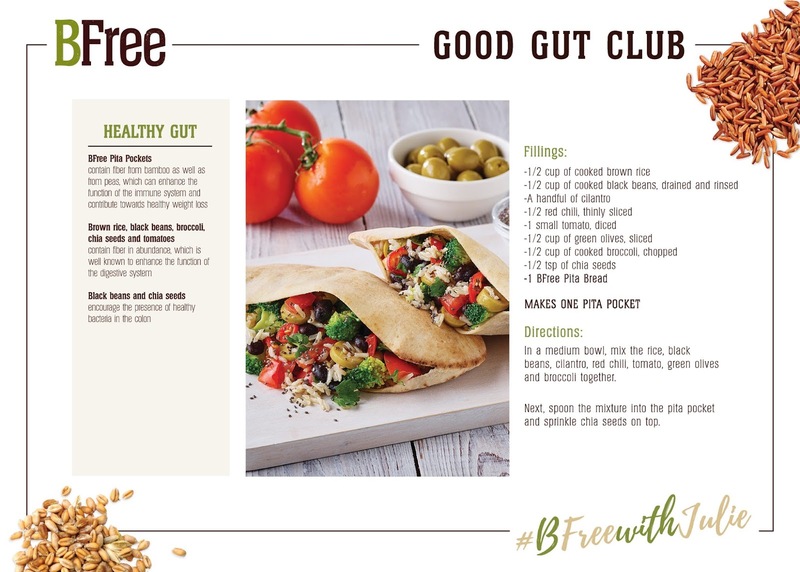 3· Good Gut Club – trust your gut with the BFree Pita with brown rice, black bean, chili pepper, tomato, green olive, broccoli, cilantro and chia seed. Prevent bloat with insoluble fiber, stimulate digestive enzymes and bile production, support fat absorption and boost good bacteria in your gut. 4 · Mindfulness Bites – get in the right mindset and boost serotonin with the BFree Brown Seeded Loaf with avocado, smoked salmon, beet, cashew, and lemon in this sandwich packed with B vitamins, magnesium and apple fiber. 5 · A Slice of Energy – get up and go with the BFree Quinoa and Chia Seed Wrap with hummus, asparagus, red pepper, feta, quinoa, and radish and get a dose of healthy fats, complex carbohydrates, potassium, vitamin C, B vitamins, calcium, protein and fiber. My favorite has got to be the Good Gut Club recipe! It sounds so fresh and perfect for hot summer weather! And who doesn't need a little gut help??!! 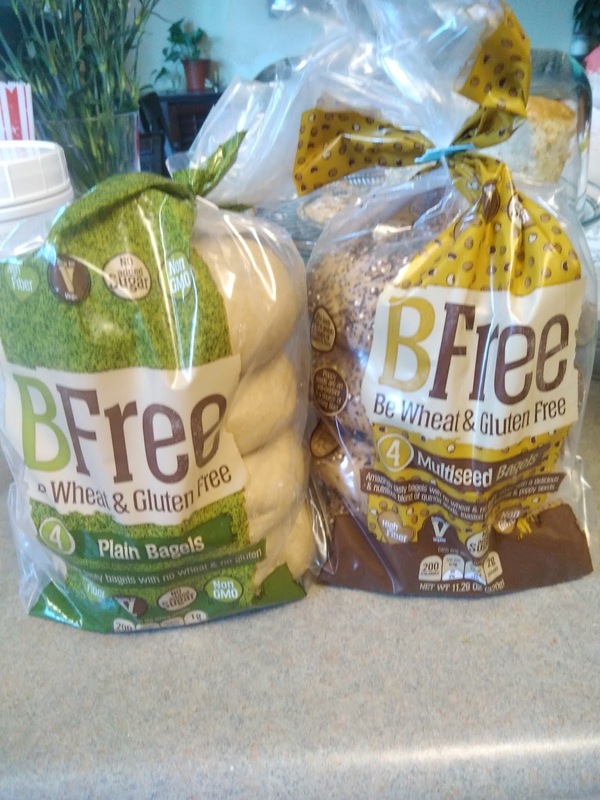 I love BFree not only for their gluten-free ingredients but for there great variety of products! 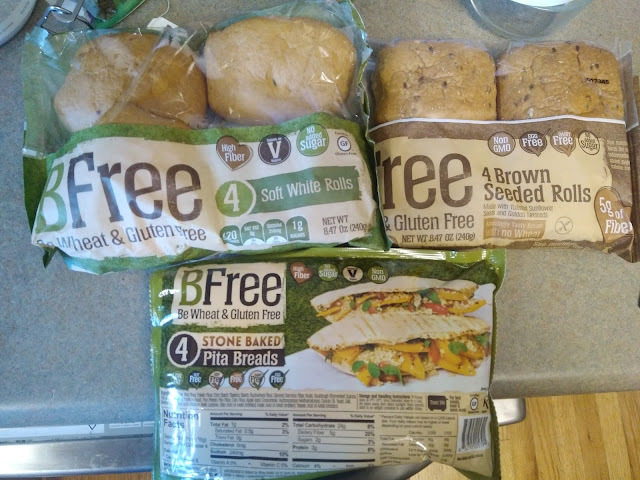 My gluten-free hubby doesn't have to suffer anymore because he can still have pita wraps, hamburgers with a bun, a sandwich and so much more with BFree's products! You can purchase BFree products at a local store near you.